The facilities are carefully engineered and constructed for optimal metalworking and efficiency. To accomplish the iron casting process, foundries posses the equipment and supplies required to analyze and mix raw materials before heating them to extreme temperatures in order to liquefy them. The molten cast iron is then poured into molds that may be manufactured at the foundry or produced elsewhere depending on the capabilities of a specific facility. Once filled the mold and material it houses must be cooled to solidify the part. While some iron foundries allow the casts to cool at room temperature, other operations require advanced cooling technology. These factories often require a great deal of both floor and storage space to house equipment, finished parts and pre-production materials. While some process several metals rather than just iron, it is often beneficial to have a specialty in order to stay relevant within the highly competitive field of metallurgy. Iron foundries draw business from such versatile industries as automotive, agriculture, water and sewage treatment, irrigation, ventilation, hydraulics, manufacturing, machinery building, electronics, transportation, construction and building. The processes undertaken at an iron foundry begin with a selection of materials. 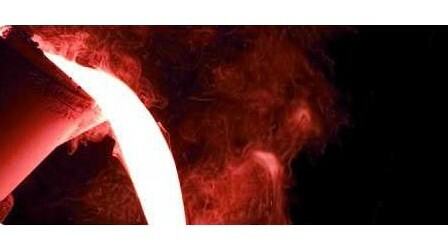 The proper elemental and chemical composition is produced during the melting stage of casting. A specialized blast furnace known as a cupola is used to achieve the temperatures necessary to melt iron and additives such as scrap steel and iron. The high heat also refines the melt which is then poured into a mold by hand or automatically. 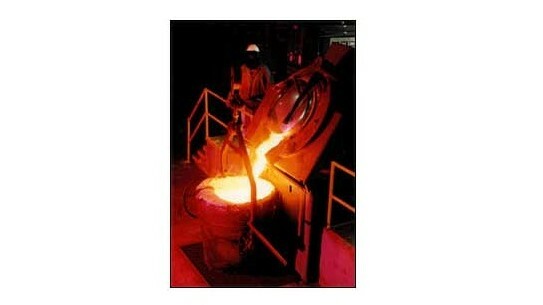 Any number of casts can be made and housed at a given foundry for continuous or one time use. These molds are solid or split pattern, meaning composed of one or two pieces. The latter have a top portion known as a cope and a lower section called a drag. Molds may also have core processes for the creation of parts and products with cavities or reentrant angles. Pouring may be use gravity, a vacuum or pressurized gas to completely fill the mold which is then allowed to cool. Cooling is carefully controlled to encourage the development of the internal microstructure of a cast part or component. A fully cooled cast iron piece is then ejected from the mold. As casting often leaves burrs or other artifacts, most foundries offer surface cleaning and finishing processes such as grinding, sanding and machining. Secondary operations such as painting, galvanizing, heat treating and assembly may also be available at an iron foundry. The capabilities of a specific facility should be considered with regards for production needs. Iron Foundries Iron foundries are facilities that provide all of the services necessary to produce iron castings of various sizes and shapes. Although commonly used synonymously with forges, only a foundry manufactures closed mold iron castings.